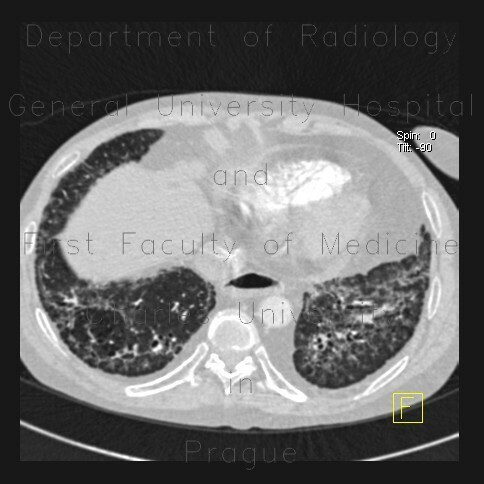 CT of the thorax shows fibrous changes most pronounced in lower lung lobes. These include interlobular septal thickening and traction bronchiectasis. The presence of ground-glass opacity indicates alveolitis in an active disesase. Note also that the lumen of esophagus is widened due to involvement by sclerodermia.